TORONTO, September 28, 2018 – In its recent decision in Lavender v Miller Bernstein LLP1, the Court of Appeal for Ontario overturned a summary judgment decision imposing liability on the auditor of a now defunct securities dealer in a class action brought on behalf of the dealer's clients. The Court of Appeal applied recent authority from the Supreme Court of Canada in Deloitte & Touche v Livent Inc. (Receiver of)2 in concluding that there was insufficient proximity between the auditor and the dealer's clients to impose a duty of care. The Lavender decision provides important clarity to the duty of care analysis in auditor liability cases, and is likely to have broader implications for professional negligence claims brought by third parties not in a personal relationship with the defendant. Buckingham Securities Corp. ("Buckingham") was a securities dealer that was suspended and put into receivership by the Ontario Securities Commission (the "OSC") as a result of its failure to segregate investor assets and maintain a minimum level of net free capital. Buckingham's Form 9 reports filed with the OSC falsely stated that Buckingham was in compliance with its regulatory obligations. The defendant, Miller Bernstein LLP ("Miller Bernstein"), audited the Form 9s and certified that (i) they fairly presented Buckingham's financial position and (ii) contained true statements about Buckingham's segregation of investor assets. Dana Carson, J.D., Crawley MacKewn Brush LLP, Toronto. The representative plaintiff, Barry Lavender, commenced a class proceeding against Miller Bernstein on behalf of Buckingham's investors as of the date on which the OSC suspended Buckingham's operations. The claim sought damages on the basis that Miller Bernstein was negligent in its audit of the Form 9s. 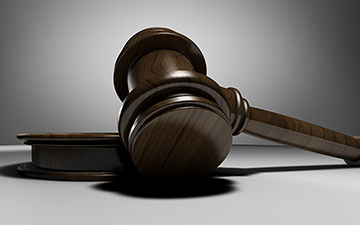 The parties consented to certification of the class proceeding on six common issues, including whether Miller Bernstein owed a duty of care to the class and, if so, whether it was liable to the class on the basis that it breached its duty. Mr. Lavender successfully moved for summary judgment on the issues pertaining to Miller Bernstein's liability in negligence. Justice Belobaba heard the motion and, in his reasons, described the "core issue" as being whether Miller Bernstein owed a duty of care to the class. Applying the two-stage Anns/Cooper analysis4, Justice Belobaba held that there was a sufficient level of foreseeability and proximity to establish a duty of care on behalf of Miller Bernstein, including because Miller Bernstein "well understood the consequence to 'its client's clients' if the segregation or capital deficiency information was misstated in the Form 9s ... [exposure of] the class members to the very loss that they incurred." On the basis of admissions by Miller Bernstein that it had breached its duty of care in two of the Form 9 audits it performed for Buckingham (and uncontested evidence that its duty was breached in relation to a third), Justice Belobaba found that liability had been made out. However, he held that it was not possible to determine damages on a class-wide basis on the record before him and left that issue for another day. Miller Bernstein's appeal of Justice Belobaba's decision was heard on March 5, 2018. The Court of Appeal's reasons were released on September 5, 2018. The application of the Livent decision features heavily in the reasons, most notably in the emphasis on the distinction between reasonable foreseeability and proximity in the first stage of the Anns/Cooper analysis. Applying Livent, the Court of Appeal held that Justice Belobaba erred by conflating the questions of proximity and foreseeability and did not conduct a proper proximity analysis in the case before him. In coming to this conclusion, the Court noted that Justice Belobaba did not have the benefit of the Livent decision before him. In conducting the proximity analysis, the Court of Appeal cited earlier Supreme Court of Canada authority standing for the principle that "the absence of a personal relationship between the parties, while 'not necessarily determinative', is nonetheless an 'important factor to consider'." The Court of Appeal cautioned against identifying established categories of relationships in which a duty of care has been found to exist in an overly broad manner. Citing Livent, the Court of Appeal confirmed that in cases of pure economic loss arising from negligent misrepresentation (which was not certified as a common issue in Lavender) or performance of a service, the following two factors are determinative of the proximity analysis: (i) the defendant's undertaking and (ii) the plaintiff's reliance. Put simply, a defendant cannot be held liable for a risk of injury against which it did not undertake to protect. The Court also emphasized that claims involving pure economic loss "warrant more rigorous examination than other claims for negligence". The Court of Appeal held that Miller Bernstein made no direct representations to members of the class and that it did not otherwise undertake to assist the class in making any investment decisions, emphasizing that the Form 9s were held confidentially by the OSC, were not shared with the class and were not intended to induce the class in making investment decisions. For those reasons, the Court of Appeal concluded that the limited scope of Miller Bernstein's undertaking and lack of direct connection between it and the class militated against a finding of proximity. Given its finding that the class's claim failed at the proximity stage of the Anns/Cooper analysis, the Court declined to consider whether the harm suffered was reasonably foreseeable. The Court allowed Miller Bernstein's appeal and granted summary judgment dismissing the class's claims in negligence. The Lavender decision will be well-received by professional service providers concerned about liability to their "client's clients". While auditors may breathe a particularly long sigh of relief, the decision's implications will be felt more broadly. Dana Carson, J.D., is an associate with Crawley MacKewn Brush LLP in Toronto. 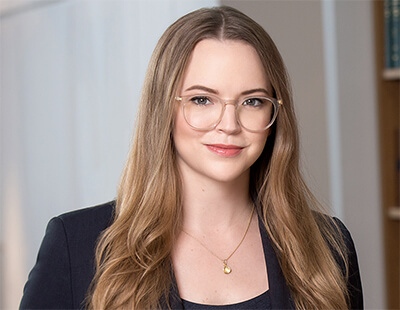 Her litigation practice covers a broad range of commercial and securities matters, including proxy disputes, oppression claims, shareholder and contract disputes, regulatory investigations and proceedings, professional negligence claims, investment loss claims, fraud cases and class actions. 4 Anns v Merson London Borough Council,  A.C. 728 (HL) and Cooper v Hobart, 2001 SCC 79.